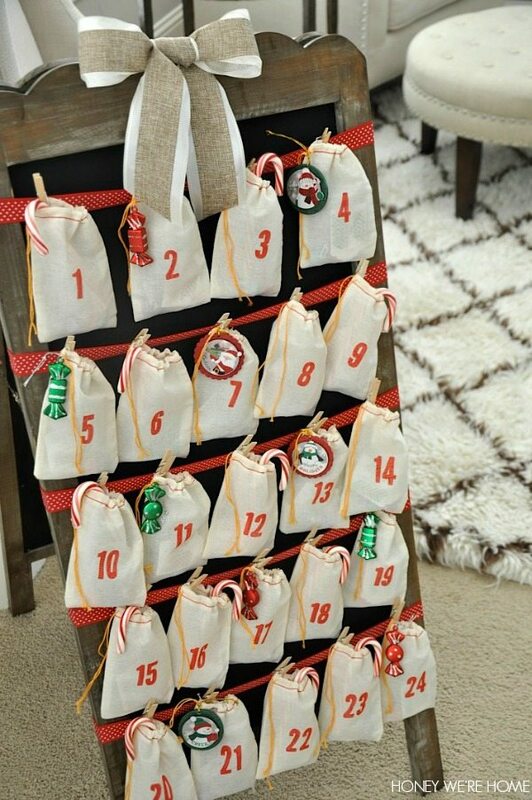 Today I have a jump start on the holidays with a DIY Advent Calendar. 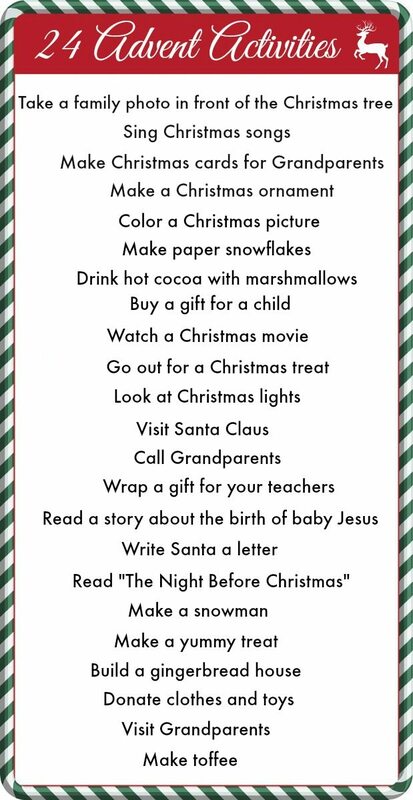 If you’re planning on doing one of these, you’ll want to have it ready to go for December 1, so there’s something to enjoy for every day leading up to Christmas. As one who likes to savor every bit of the holidays, an Advent Calendar is a fun way to draw out the festive feelings and the anticipation of the Christmas celebration. 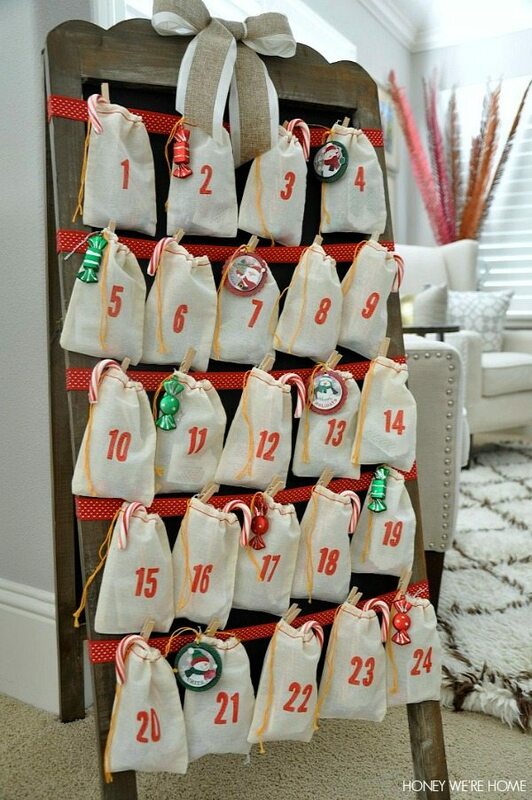 I’ve been doing an advent calendar for the past couple of years, and always just use activities as opposed to treats so that we can do something together as a family. But, I’ll get to those in a minute. 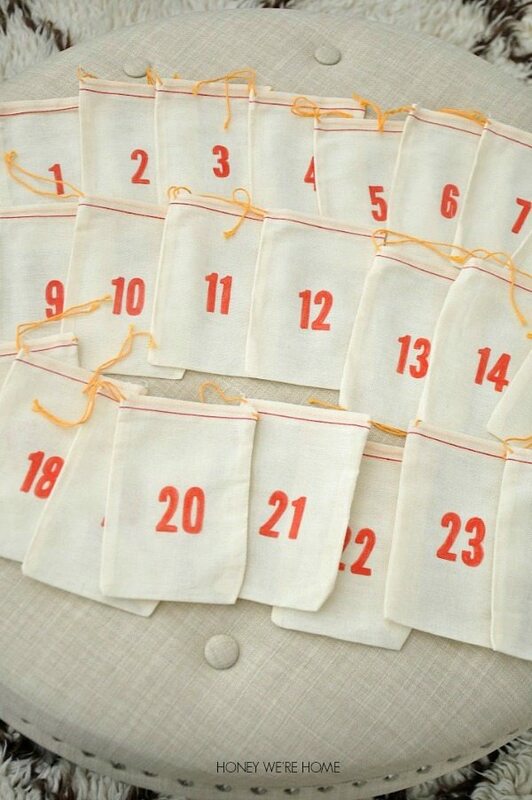 First, here’s a look at our DIY advent calendar this year. To get started, I ordered 25 cotton muslin bags on Amazon. They are $7.50 for a 25 count (4×6). I’ve ordered them before, so I had a few extra on hand in case I messed up. 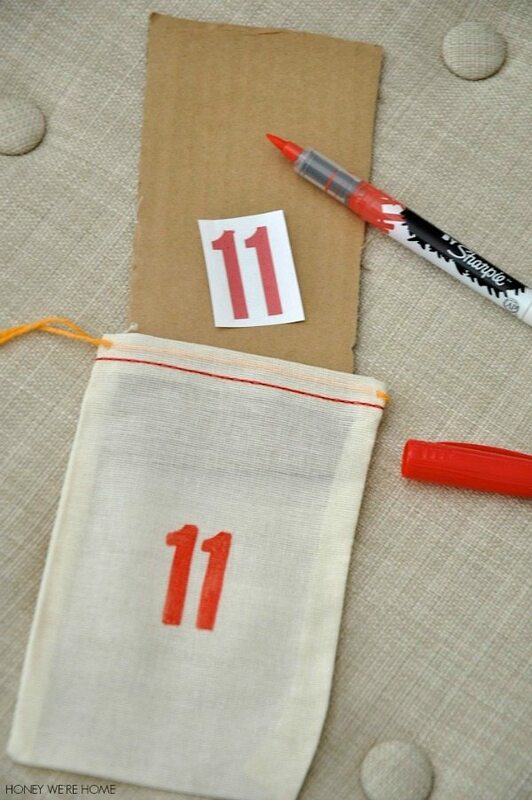 I searched high and low for iron-on numbers, but couldn’t find what I had in mind, so I ended up printing the numbers on paper and then tracing them onto each bag with a paint pen. This didn’t take too long, maybe one episode of The Voice. 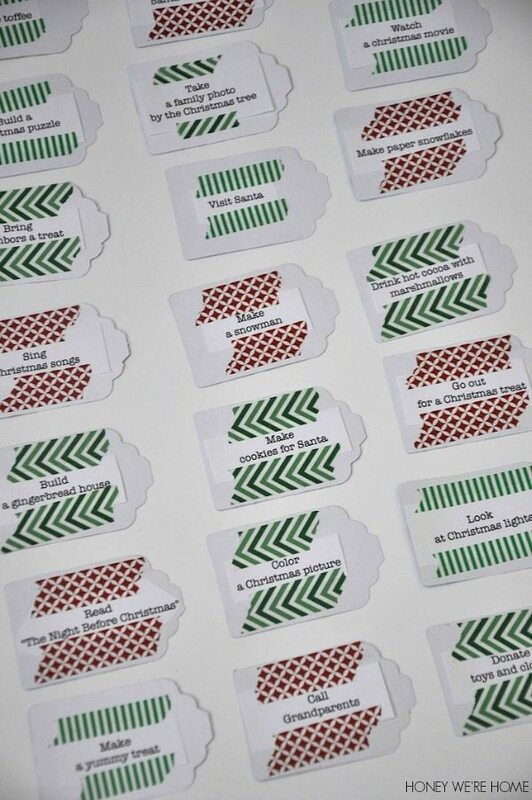 Then I printed out our Advent Calendar activities and cut them to fit the scrapbook paper tags I made with my specialty tag punch. I affixed the activities to the tags with washi tape. 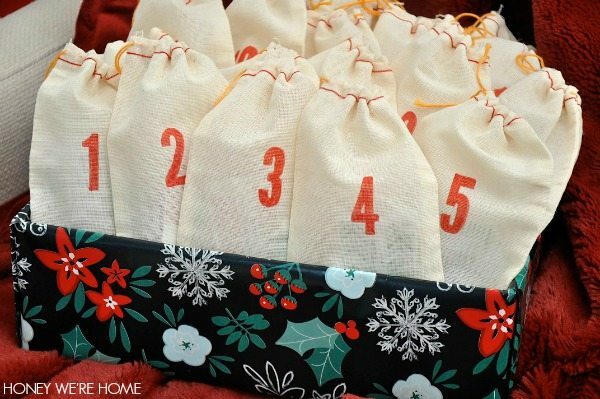 Inside each bag is one activity tag and a few hershey kisses or candy cane. I found this adorable easel-style chalkboard at Homegoods for $49 that makes a good display for our calendar. You could also use a foam board or art easel if you have one of those. 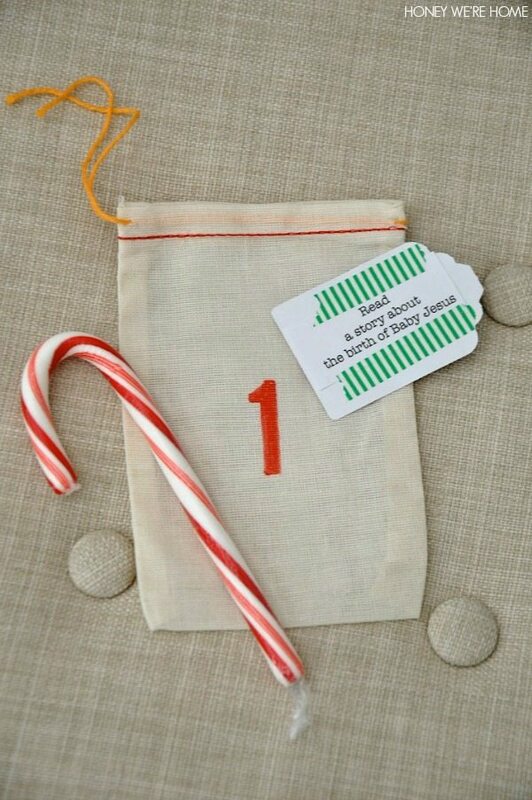 The bags are attached to the ribbon with mini clothespins. 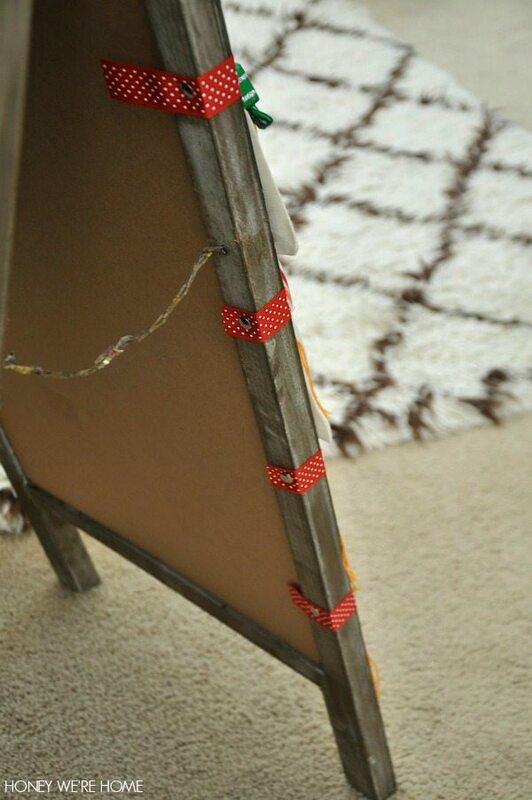 The ribbon is pinned to the back wooden side of the easel with thumb tacks. I added little embellishment decorations from Wal-Mart to a few of the bags to make it more festive. I made a bow from burlap ribbon I had on hand and hot glued it to the top. I learned how to tie a bow when I worked in a flower shop in high school and it’s come in handy over the years. 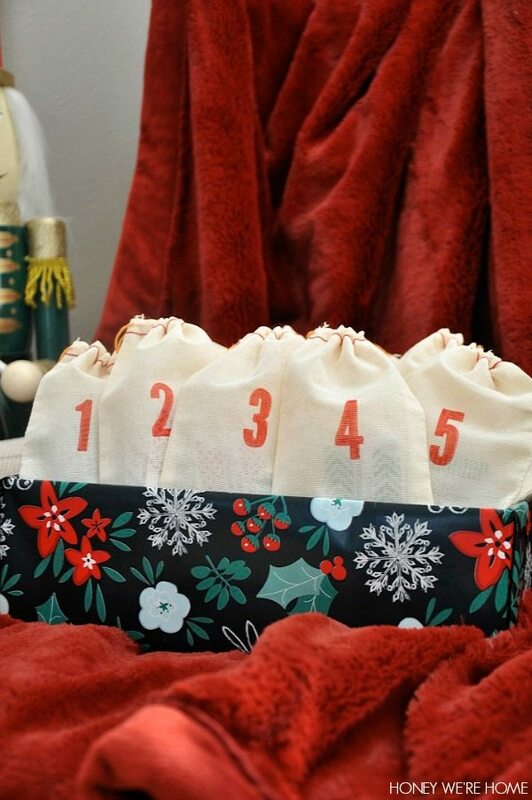 If you wanted to do an Advent calendar, but with a little less effort, you could turn a shoebox into a decorative holder for the bags. I wrapped a box with pretty holiday paper from Target and then filled the box with faux snow and all of the bags. Much easier, but still really cute! Below are the 24 activities we’ve stuck to the past couple of years. One thing to keep in mind with this type of calendar is to make sure that certain activities are put on weekend days, since it might be hard to visit Santa on a Wednesday, for instance. We love toffee here, so making it around the holidays is always something we look forward to. If you have a favorite dessert or thing to do with your family, include those! The point to to have fun with it, not to make it a stressful thing. I can’t wait to share this advent calendar with my son. He’s gonna love it! What a great idea to put activity tags inside! I bet the kids get really excited to see what their activity is. I love it! For sure! I'm sure visiting Santa is big on the list, but one of my favorites is seeing the Christmas lights. There are some neighborhoods nearby that go all out and are really gorgeous. Megan, what a great idea! 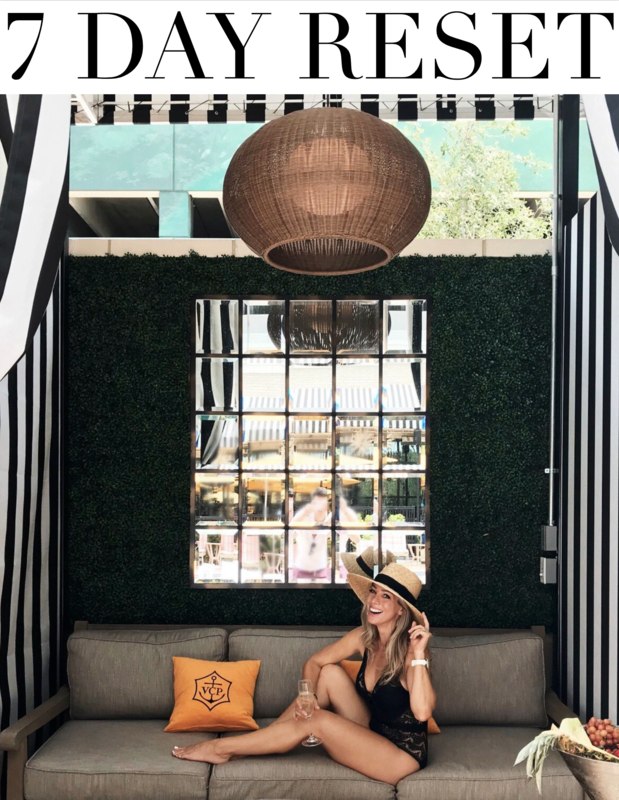 I especially appreciate how you focus on family activities rather than sweets, and how you mention that it's supposed to be fun – not stressful. Great reminder! Yes! If it feels stressful it's no fun. Such a great idea. 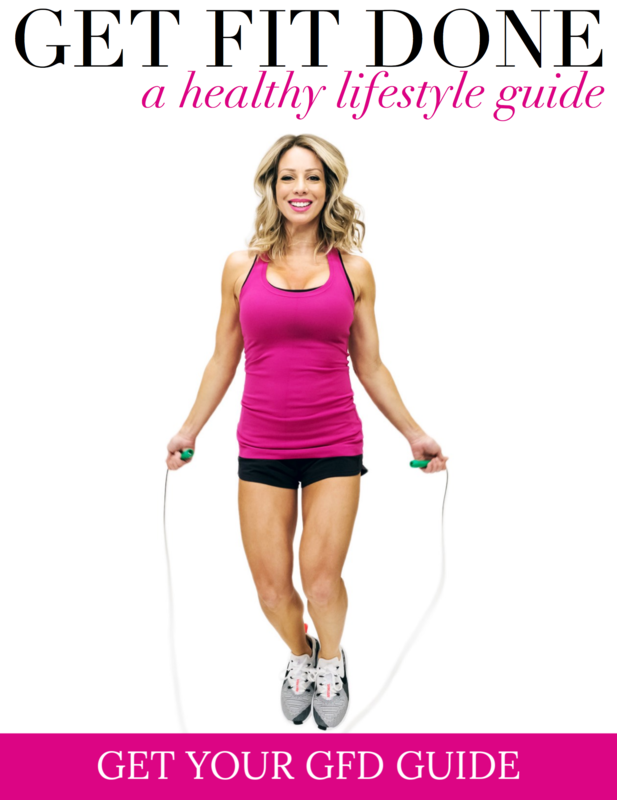 I love having an activity everyday instead of candy or a treat. Thanks Meredith! We still have so much Halloween candy! Thanks Jillian, it was pretty easy to create. We do an Advent Calendar through Christmas books, ending with the Christmas story on the morning of the 25th before opening up Santa's goodies. That is so adorable! 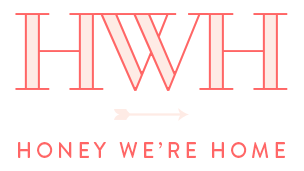 I love it all, especially the washi tape on the activities! My little one is almost 19 months so I'm so excited for Christmas this year now that she understands more! This will be a fun Christmas with her this year! 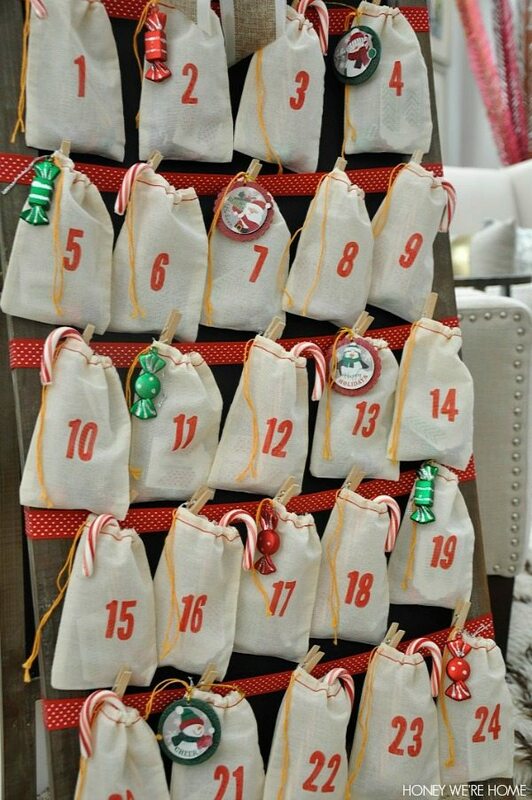 i've seen a lot of advent calendars on pinterest, but loving your execution the most so far! Thanks Lori! That's so sweet! So cute and easy! My kids would love this! This is really, really such a brilliant idea. And, it is so pretty to display, too! Love it and pinned it!! I have a feeling this chalkboard will have many uses! I think I hear a tutorial in your future… if I may be so bold. I'd love to know the definitive flower shop way to tie a bow. That's a good idea, thanks for letting me know you'd like to see. I'll have to get my hubby to take the pics while I demonstrate. This is beautiful, such a lovely idea! I don't have children but I might try something like this with the other half to get him in the Christmassy spirit – and to stop us spending all of December eating mince pies on the couch!! P.s. I'd also love to know how you tied the bow! I'll definitely have to do a bow tutorial soon! This is such a cute idea! & I'm with some of the girls above, I would love love love to have a tutorial of how you tied that bow, that's always something I have struggled with! I love-love this idea. The shoebox idea is something we have to try! I like the ease of just putting the bags in a wrapped shoe box- easy and free! 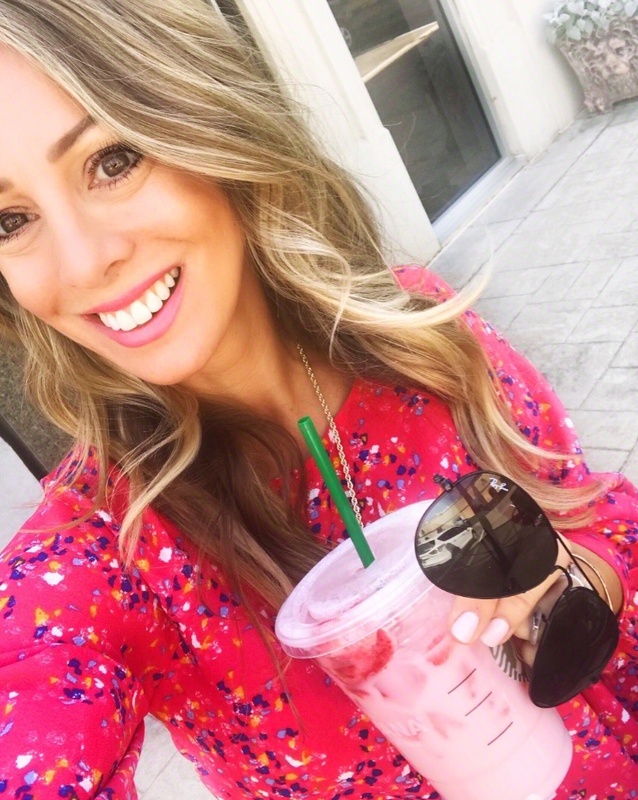 Love this DIY Megan! Will have to start up this tradition in our house starting this year + the elf on the shelf for Marli. I know she would love it. Thanks for letting us know where to buy the little muslin bags for a good price… we've been seeing them everywhere! 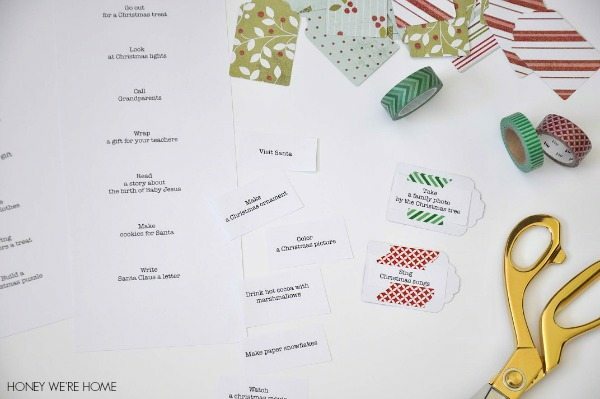 Love the idea of a Christmas activity each day of advent. Oh that's such a good idea! Thanks for sharing. I totally copied this idea for my 3 kids, Megan! I was so sick of the cheapo ones in stores. It doesn't look nearly as cute as yours, but my kids love it!! I love this and am hoping to do this for Christmas this year. Quick question, what font and size did you use for the numbers?